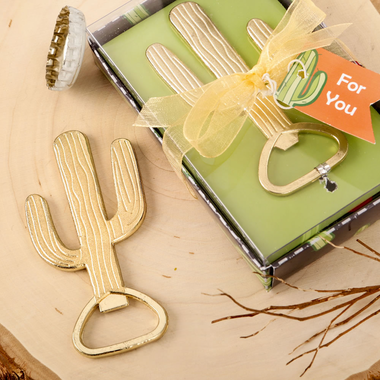 Don't forget to add these cute bottle openers to your list of cactus party supplies. 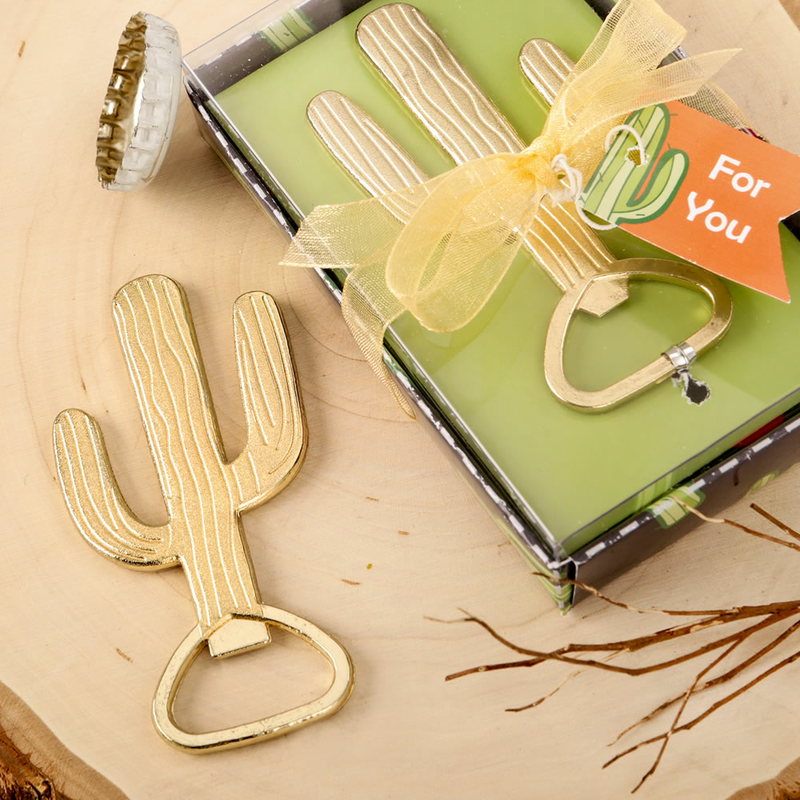 Whether you are having a desert theme party or prom, these fun gold plated metal cactus bottle openers are sure to be a hit. Measuring 3 1/8" x 1 1/2", each favor is packaged in a charcoal color bottom box with a green cactus design. The box is wrapped with a gold organza ribbon wrap and bow with an attached 'For You' tag.